James Bond 007's mission is to firstly, organise the defection of a top Soviet general. When the general is re-captured, Bond heads off to find why an ally of General Koskov was sent to murder him. Bond's mission continues to take him to Afghanistan, where he must confront an arms dealer known as Brad Whitaker. Everything eventually reveals its self to Bond. 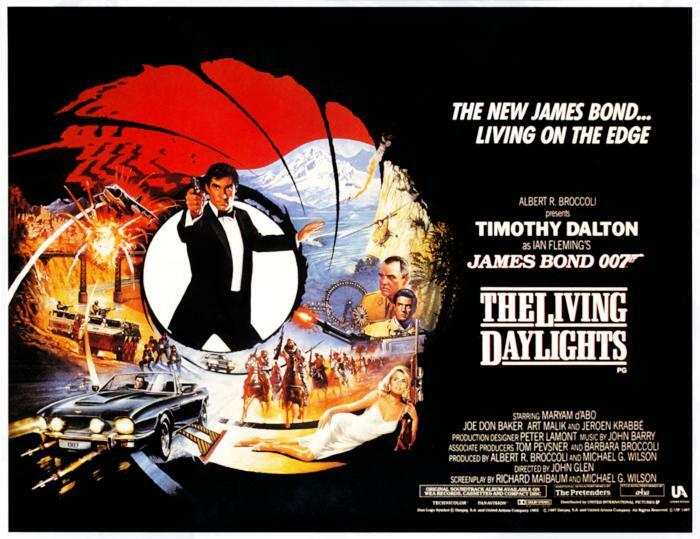 An ending similar to the one that featured a parody of Margaret Thatcher and Denis Thatcher in "For Your Eyes Only" (1981) was originally intended for the movie. It was to include instead a parody of Prince Charles and Princess Diana. However, the idea was scrapped. Title Song by A-Ha "The Living Daylights"
"Something we're making for the American's... it's called a 'Ghetto Blaster'"